Description: Located near the Galveston Cruise Terminal, the Texas Seaport Museum preserves a time when people sailed out of Galveston Harbor on much smaller ships. Inside the museum you can view displays of items that were used 100 years ago when Galveston was a bustling port for shipping cotton. 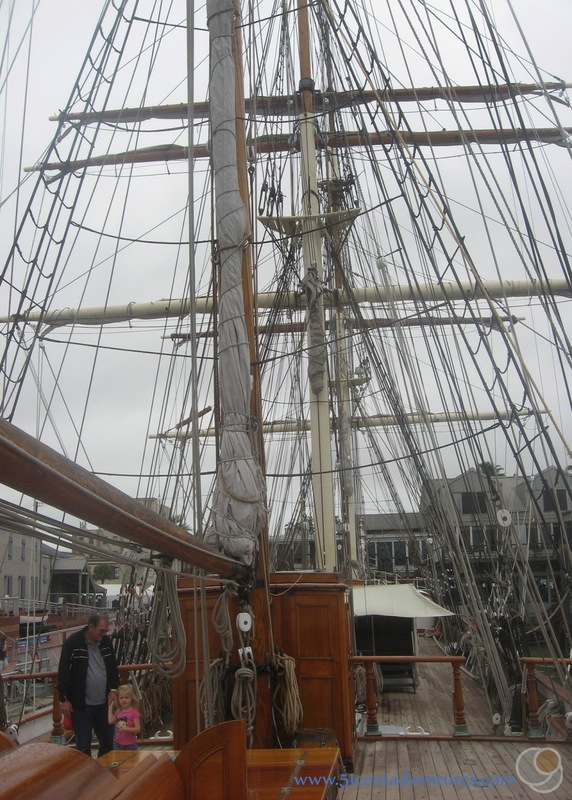 Outside the museum you can take a self guided tour of the Tall Ship Elissa - one of the oldest sailing vessels left in the world. 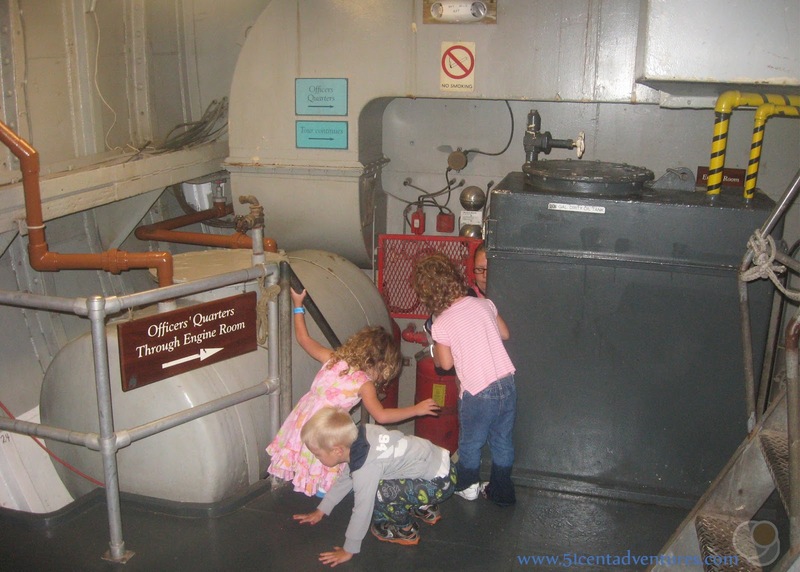 As you walk the decks of the ship you can imagine what life would have been like for the sailors who called the ship home. Location: 2100 Harborside Drive, Galveston, Texas. This on the north side of the island in the downtown area of Galveston. The museum is right next to the bay. Operating Seasons and Hours: Open daily from 10:00 am to 5:00 pm. The last tickets are sold at 4:00 pm. This was the first stop of the sixth day of the Texas Coastline Road Trip that my husband and I took our kids on in November of 2014. We'd camped the night before at Galveston Island State Park. It had rained most of the night, and so the morning had got off to a soggy start. After a trip to a laundry mat we were ready to start exploring more of the island. 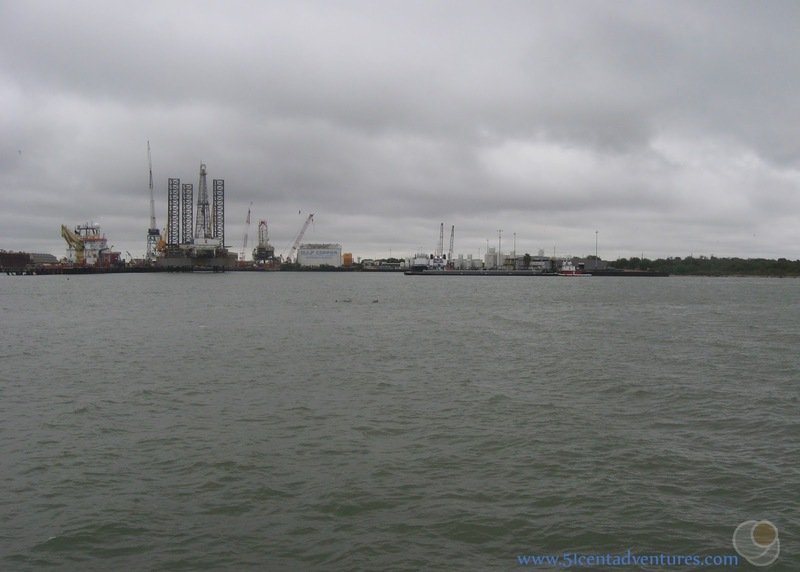 There were two places I had on my list to see in Galveston. One was the OceanStar Off Shore Drilling Museum. Tickets to that were $8 for adults. The other was the Texas Seaport Museum which included a tour of the tall ship Elissa. Tickets for that were $12 for an adult. My husband said he wouldn't mind seeing both those things, but I was feeling cheap and thought that maybe we should only try to see the less expensive Drilling Museum (plus it sounded cool). We found the museum just fine, but finding a parking place was a problem. The annual Lone Star Rally for motorcycle riders was starting that day and all of downtown Galveston was full of vendors getting ready. Most of the museum parking spaces were taken up by a semi truck. We finally found a parking lot about a block away. We paid for our space and then walked down to the museum - only to find out it was closed for the weekend! Since we'd gone to all the trouble to walk over there with our children, and had already paid for our parking spot we didn't want to just leave. So we went for a little walk to check out the harbor and the pier. We had only walked a little ways when we saw the masts for a sailing ship poking up from behind a building. I got really excited because I knew it was the Elissa at the Texas Seaport Museum. I'd known the two museums were close to each other, but I didn't realize they were that close. So we hurried over there to see if the Texas Seaport Museum was open - which it was! I probably should have just planned on coming here from the beginning because ships are right up there along with trains and bridges on my list of favorite things. I was super excited that we were going to see the Elissa. 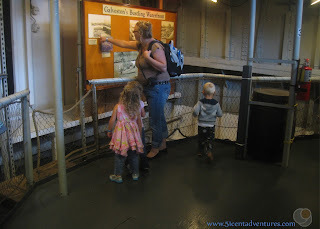 We decided to purchase tickets for the museum and for a harbor tour. At $20 for my husband and I this was one of the most expensive things we'd done on this trip. However since our four children were all still young enough to get in for free we figured it averaged out. 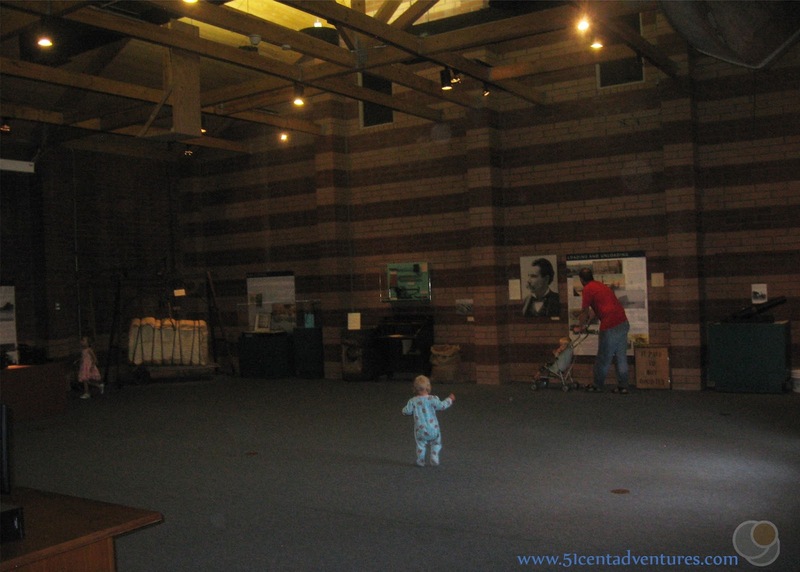 First we went to check out the indoor museum. 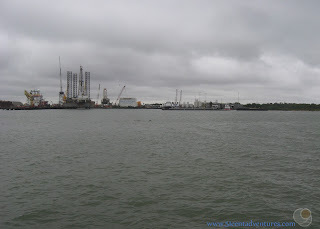 It talked about the history of Galveston which was a lot more interesting than I expected. I didn't know a lot about the hurricane that hit in 1900 and basically ended Galveston's time as the busiest seaport in Texas. After the hurricane, Houston with it's more sheltered harbor, became the busiest seaport. 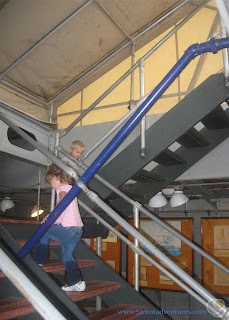 We could have gone upstairs and visited a genealogy area, and watched a movie about how the Elissa was saved from a salvage yard, but there was something wrong with that area. (I think they were painting or something.) So we went outside to see the Elissa. The Elissa was the main reason I wanted to come to this museum. 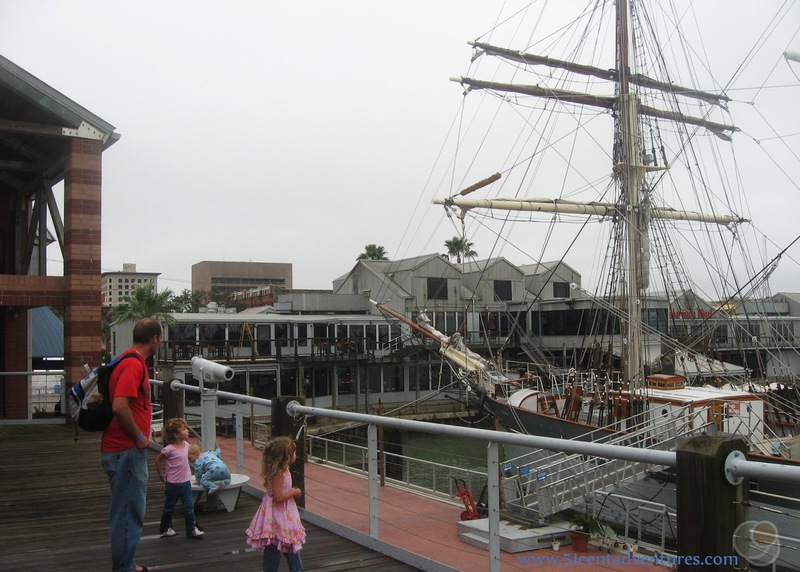 She is a National Historic Landmark, and is one of the three oldest sailing vessels left in the world. She was built in 1877 in Scotland and was a commercial vessel for 90 years. She's usually docked here at the Texas Seaport Museum, but occasionally she still goes on little trips. We were able to walk all over the ship and explore her deck and many lower areas on a self guided tour. It was so cool to walk somewhere that generations of sailors have lived and worked. The hull has been converted to a little information area. The information signs talked about little details about life on a ship as well as history of Galveston. The officers' quarters were pretty tiny, but the captain did have a nice looking office area. Here's another example of how tight things were on the ship. 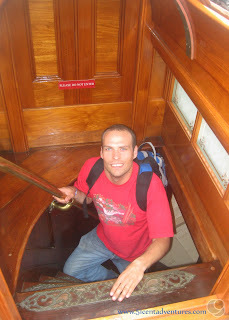 This is my husband coming up a spiral staircase to the main deck from the Officers' Quarters. 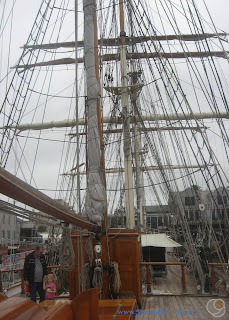 I loved looking at the rigging. My husband wanted to climb it, but that wasn't allowed. For a detailed description of the rigging visit this page from the Galveston Historical Foundation. 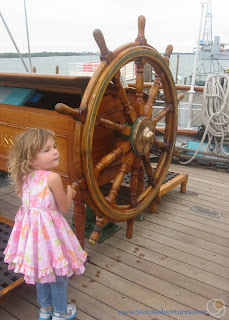 My oldest daughter liked pretending to sail the ship. We finished our first look at the ship in about 20 minutes and then went around a few more times. 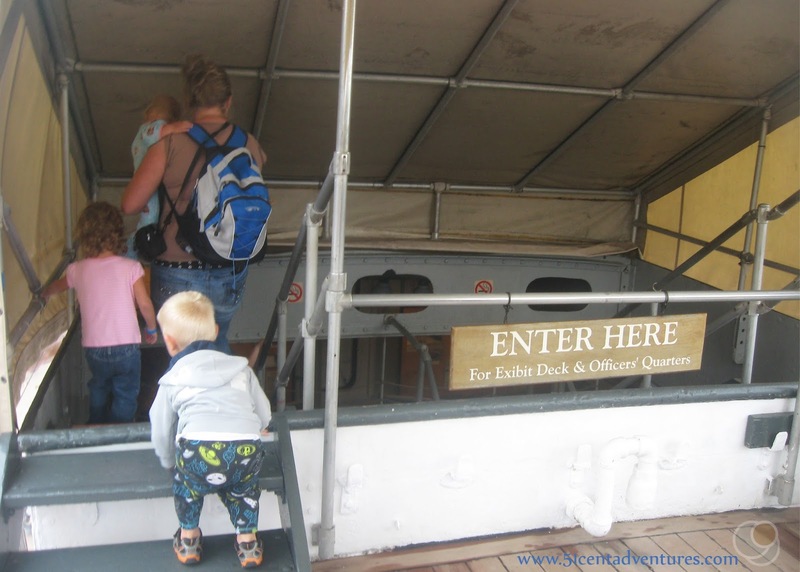 Recommendation: The Tall Ship Elissa at the Texas Seaport Museum is one of those rare historical gems where you can have a tangible experience with history. 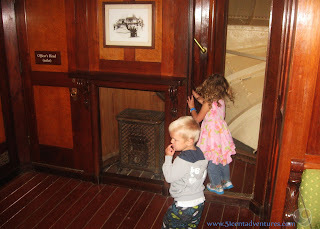 Where else can you explore a ship built over 100 years ago? 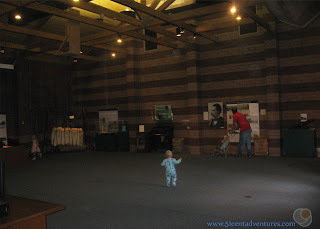 The museum itself isn't that interesting, but the Elissa is one of those places that you will remember forever. 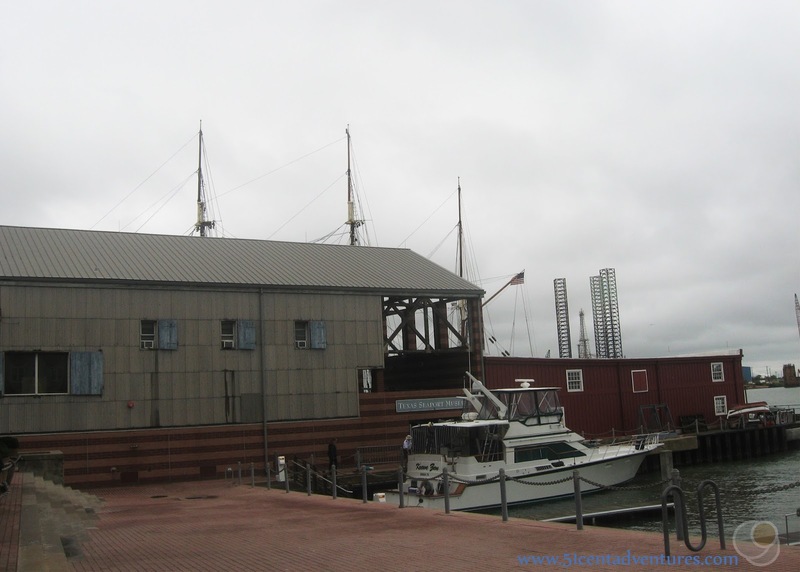 Directions: The museum is located on the bay in downtown Galveston. It's in the famous Pier 21 area. The address is 2100 Harborside Drive. There are several parking lots located around the museum. Most of the parking lots charge a fee of $1.50 per hour Monday through Saturday. Parking is free on Sundays. 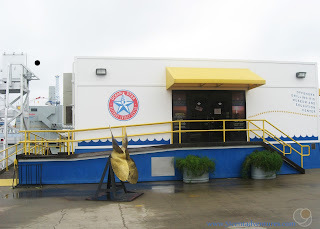 Places Nearby: I was very happy with our experience at the Texas Seaport Museum, but I still want to visit the OceanStar Off Shore Drilling Rig and Museum one day. The Galveston Cruise Terminal is located to the west of the museum. If you are in the area for a cruise you might want to take a tour of the Elissa. I'm sure it will make you appreciate the accommodations on your cruise ship. 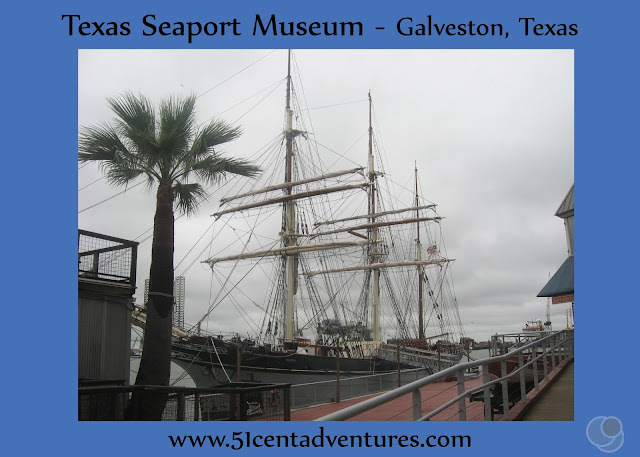 Next Stop: Next up I'll talk about the Harbor Tour that I added onto the Texas Seaport Museum ticket.